Garret F. VanWart was an Administrator/Educator for Public Parks/Natural Areas Resources Planning & Interpretation who did a lot of research, and then wrote a book on climate change. 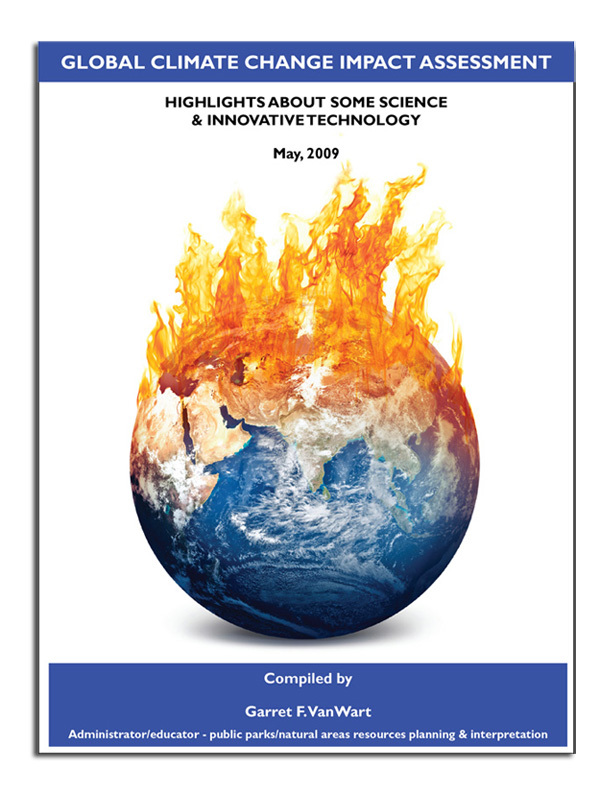 He asked us to do the design work for the book: “GLOBAL CLIMATE CHANGE IMPACT ASSESSMENT.” It’s a 74-page book full of facts, graphs, charts, and Appendices. I’ve got to say, nature and the environment are very near and dear to my heart, so it was pretty depressing and difficult to work on this book!